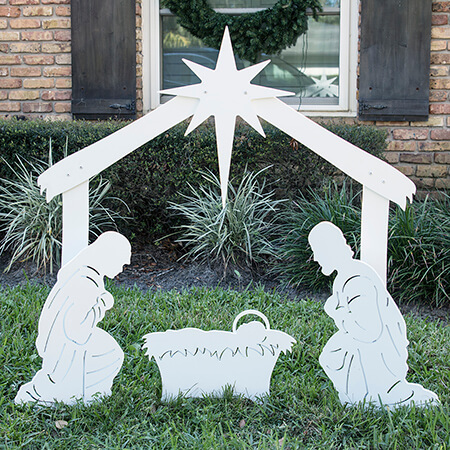 Shop our Complete Nativity Scenes. 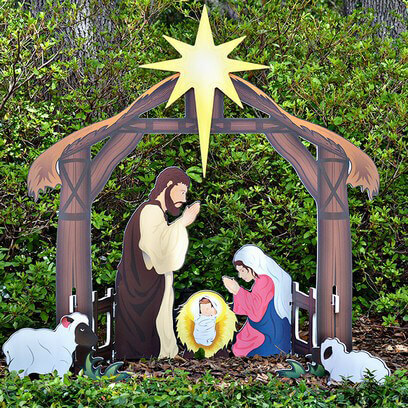 Shop our Printed Complete Nativity Scenes. 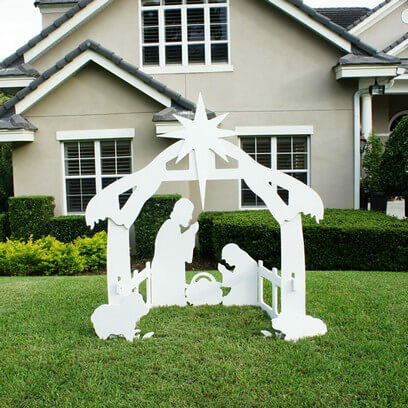 We are pleased to offer the highest quality Christmas Yard Art for your lawn. All products are fabricated from marine grade material and are designed for years of use in harsh winter weather. 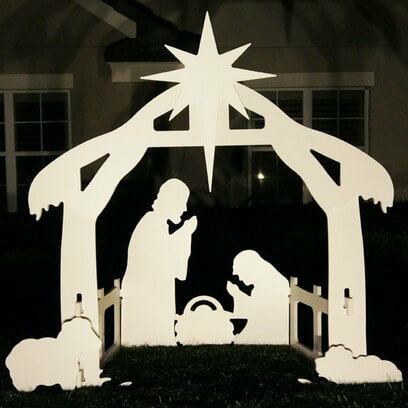 We offer high quality Acrylic Christmas Ornaments for your Christmas tree. These ornaments are cut and fabricated in the USA (not mass produced overseas!). 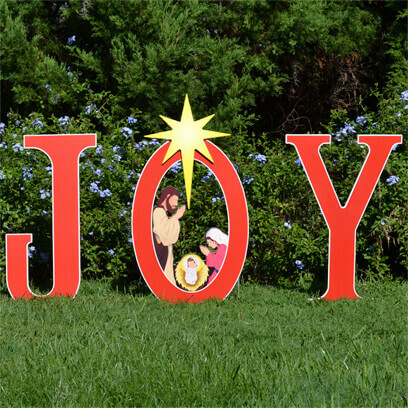 The highest quality Outdoor Christmas Yard Signs and Holiday Lawn Decorations for your home or business. 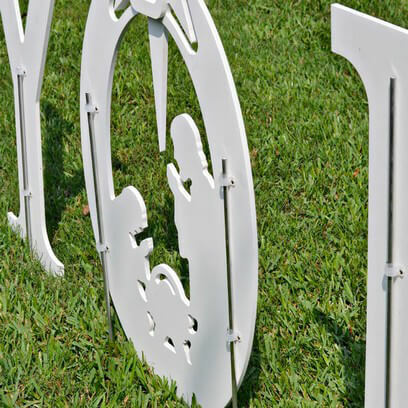 All marine grade materials ensure your signs will last for years! 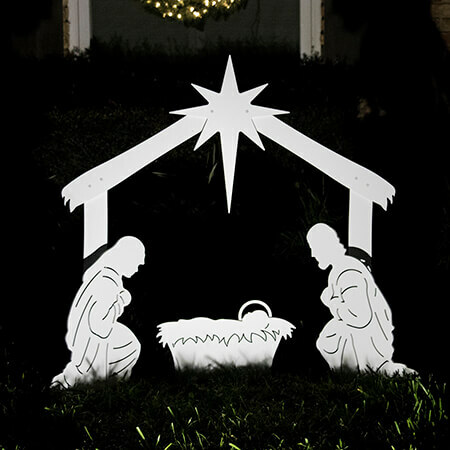 Originally designed for customers with apartments, our nativity window decor looks great in any window. Supplied in a matte white finish, they are fun to decorate and make great art projects for kids! 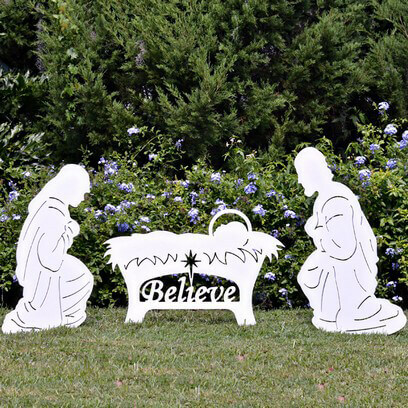 Decorate your yard, business or church with our exclusive Lawn Nativity Set. 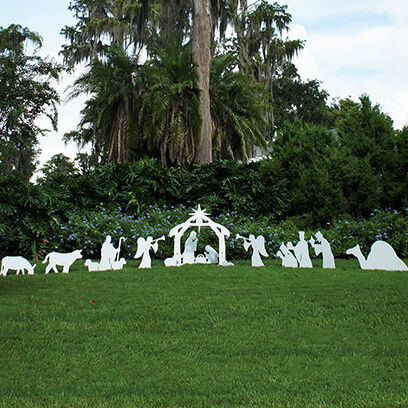 Add additional figures to make up a complete Lawn Nativity Scene. 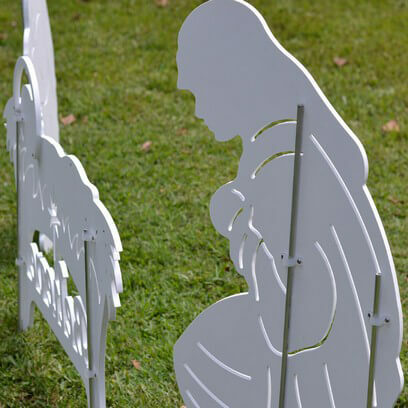 Made from high quality marine grade plastic our Lawn Nativity Set will not fade, warp or rot. 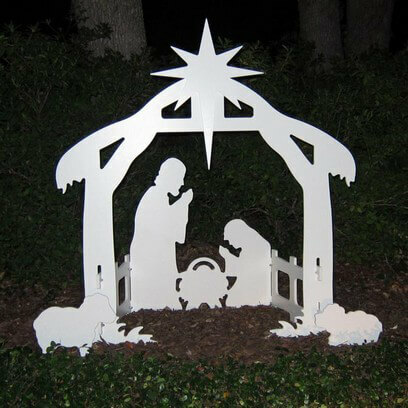 While our sets never require painting or maintenance you can paint any Lawn Nativity Scene to your desired color. 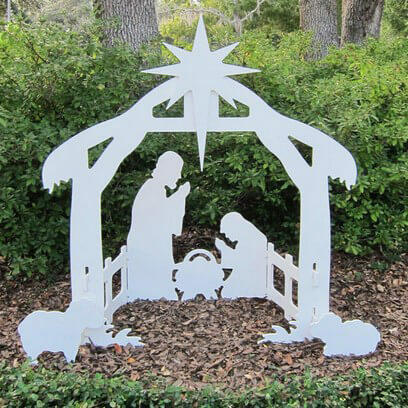 With three size options, we are sure to have the perfect Lawn Nativity scene for your home, business or church. 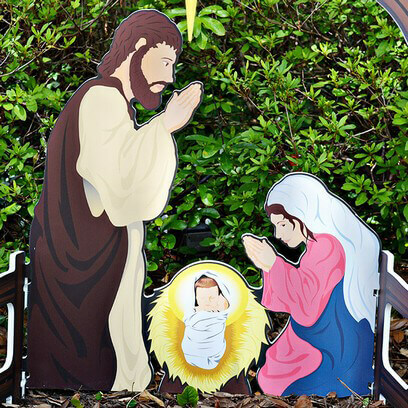 We make the finest waterproof, plastic Lawn Nativity Set on the market today. 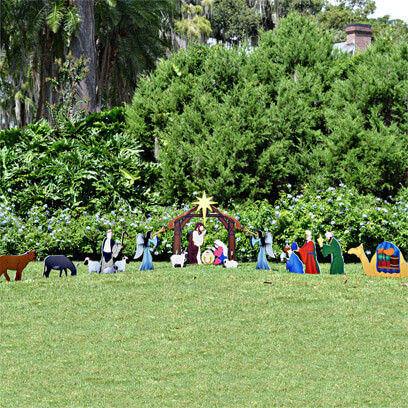 Order your Lawn Nativity today and find out why we are the best choice for your Lawn Nativity Set. All of our products are 100% American made. 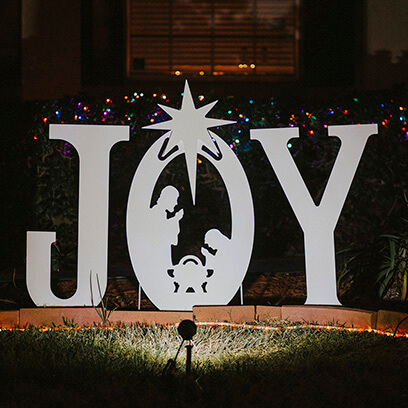 Copyright © 2019, OutdoorNativitySets.com. All Rights Reserved.